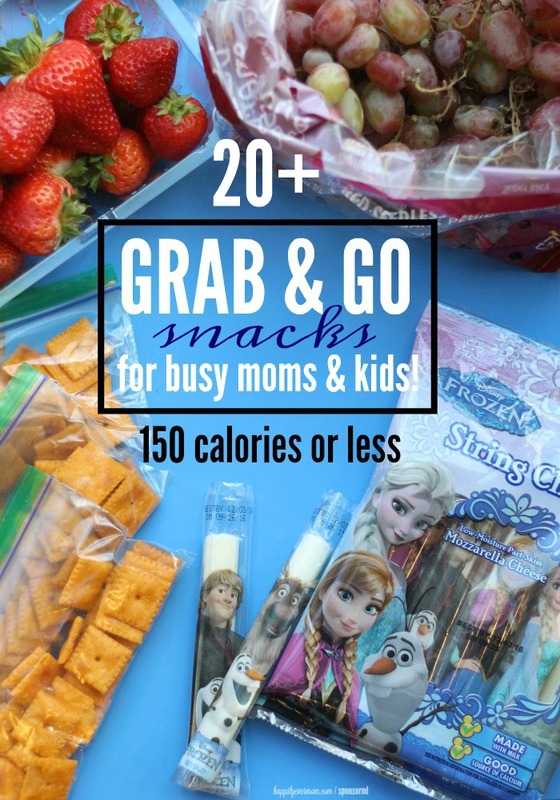 20 Grab & Go Snacks for Busy Moms & their Kids under 150 calories! After school, I remember being starving too. In fact, I’m usually hungry when I pick her up as well (I blame some of that on being pregnant again…). When I’m grabbing a three-year-old and rushing to get to school on time, I don’t always have time to make a snack for her, for him, AND for me. 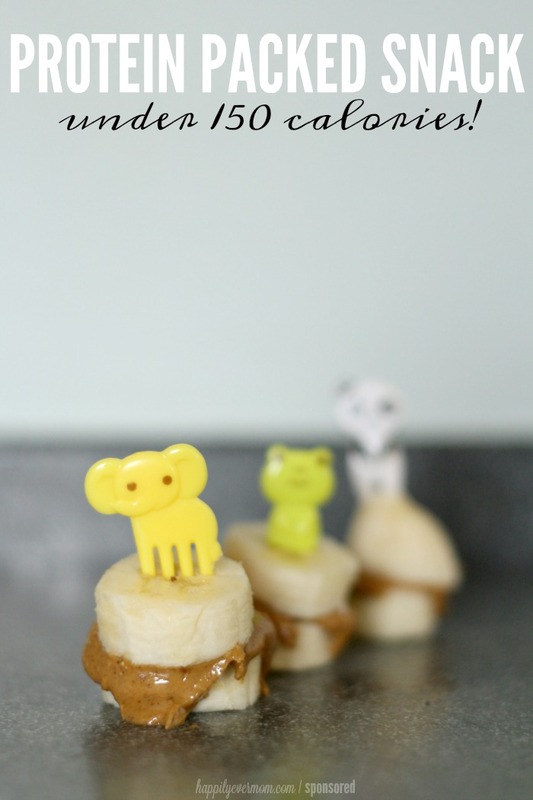 When a Happily Ever Mom sponsor reached out to us about Disney® Frozen String Cheese, I knew that I wanted to share my favorite way to prep snacks that keeps my life a little less busy and a little bit healthier. Best of all? These grab-and-go snack ideas are 150 calories or less. Perfect for you. Perfect for the kids too! In full disclosure, I don’t believe that we should be calorie counting for our kids. BUT… I do think that it’s my responsibility to show my kids what a portion size should look like. These snacks keep proper proportioned snacks on hand for ME. Let’s face it. Most of the time we are conscious about providing healthy foods for our kids, but we get lost in the busyness of taking care of everyone else. For me, that means that I’m either starving or grabbing a snack that isn’t very healthy. Why Have 150 Calorie Snacks Pre-Made for Kids? Maybe P.E. was particularly hard that day and they need extra calories. Maybe they didn’t eat as much lunch/snack/breakfast that day. Remember, their metabolism is revved up and they need more fuel. Kids eat all the time between the ages of 5-8. That’s why I keep these snacks on hand and where my kids can reach them. My kids always have access to healthy, proportioned snacks (which they are allowed to take more of), BUT the snacks are properly proportioned for me. Because, sadly, I’m not in a constant state of growth anymore… *puts the cookie down* Let’s get started! I make sure that I’ve got all the veggies or fruits that I need and I grab crunchy snacks too. Then, I divide crunchy snacks and fruits/veggies into small snack sized ziploc bags. Store in the fridge or a drawer that your kids can access easily. I like to add a few products that I don’t have to portion as well. I recently discovered that my local Albertson’s has Disney® Frozen String Cheese. I’ve been throwing that in the mix too and my daughter LOVES it! Disney® Frozen String Cheese has almost exclusively replaced yogurt for my daughter. I’m fine with that swap because it’s made with milk, a good source of calcium and protein and it’s the perfect on-the-go snack that I can have on hand for the kids (and for me!). I also add this to my daughter’s lunch box too. Lucky for us, we’ve got a coupon to grab that is good until January 15th 2017! 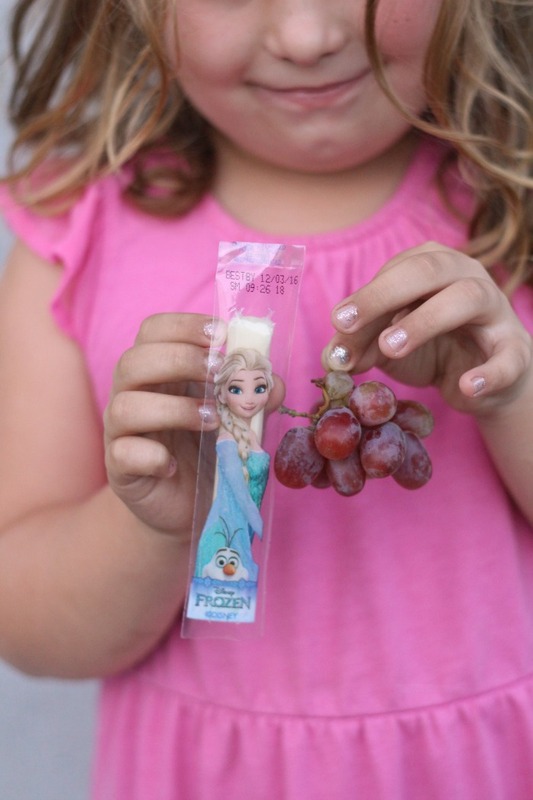 Grab a Disney® Frozen String Cheese Coupon!! —>>> Get a $1 off Disney® Frozen String Cheese (expires 1/15/2017). The best part about having this list is that you can rotate through these snacks so that you and the kids don’t get bored. I’ve realized that having snacks on hand that you LOVE is the best way to keep yourself and your family fueled throughout the week. Do you have a snack you can’t live without? Tell us in the comments and we’ll add it to the list!